It is based on the fact that the brain has a property of neuroplasticity. Both the brain and the nervous system can change structurally and functionally under the influence of the signals from the environment. Learning and memory are examples of neuroplasticity. It follows that meditators are able to change some neural paths in the brain through meditation, and this can result in a dramatic change in your outlook on life events. This profound result of sustained practice, known for many centuries to meditation practitioners, has been confirmed by scientific studies in the last three decades. 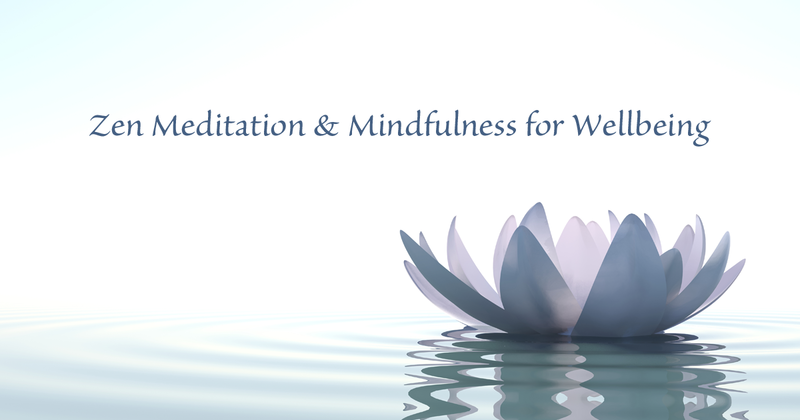 This course is a melding of traditional Bompu Zen (Zen for Wellbeing) and secular science. It is highly practical in it’s application of the practices and as a result meshes very well with everyday life. The meditations themselves are simple but incredibly effective. You will leave with both a toolkit for life and the knowledge of how to use it! Students will also be taught mindful movement in the form of the Hachi Danken, a Japanese version of the Ba Duan Jin Qi Gong form. Not only does this sequence allow engagement with mindful movement but it also boosts health and vitality when practised daily. 30% ‘Early Bird’ discount available if paid in full 2mths before start date. A deposit of £30 secures your place. Suitable for complete beginners and those with meditation experience who want to deepen their practice and understanding. Prior booking is essential as the course is limited to 10 students to ensure everyone gets the most out of it. Please use the contact form below to express your interest. Guided meditation packs and a journal are included in the course price. All meditation cushions/stools will be provided. Please wear comfortable clothing that allows for freedom of movement.